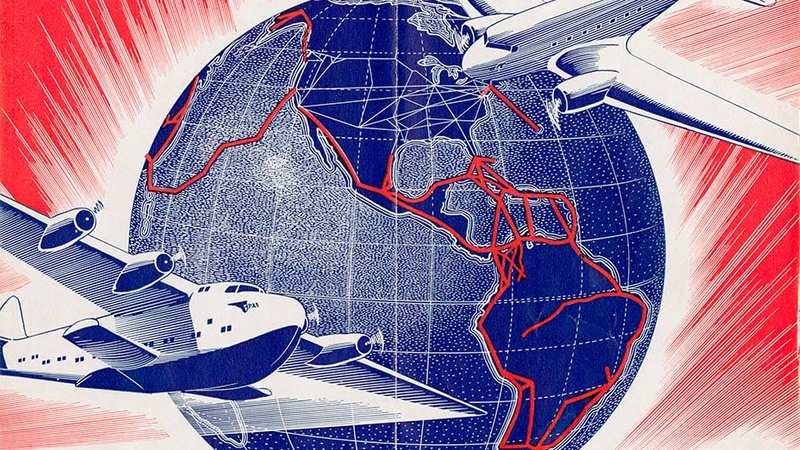 UM, Duke University, HistoryMiami Museum, and Digital Public Library of America awarded grant to develop research portal to Pan Am and aviation resources. Funded by The Andrew W. Mellon Foundation, the CLIR award ensures that digitized content is made freely available to the public. The $275,786 grant enables the University of Miami to digitize 121,000 pages of archive records, Duke University to digitize 11,500 advertisements, and HistoryMiami Museum to digitize 500 objects. These promotional materials, operational records, and artifacts highlight the complexity and reach of Pan Am, a leader in globalizing aviation and shaping public perceptions of air travel, whose impact on global affairs, corporate culture, and social history is still relevant today. The three institutions are partnering with the DPLA to bring these materials together alongside other digitized aviation materials via a curated aviation-themed portal. This will allow for focused exploration of aviation history across multiple institutions, and it will serve as an innovative model to bring together disparate collections in a collective portal hosted by DPLA, fostering discoverability and availability to researchers in both public and academic domains and across borders. The Council on Library and Information Resources (CLIR) is an independent, nonprofit organization that forges strategies to enhance research, teaching, and learning environments in collaboration with libraries, cultural institutions, and communities of higher learning. To learn more, visit www.clir.org and follow us on Facebook and Twitter.